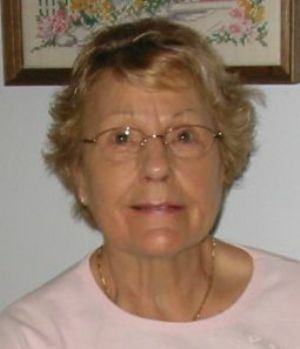 Heather A. Benesh, age 85, of Ripon, WI, passed away on Wednesday, March 27, 2019 at her home surrounded by her loving family. Heather was born in Thorpe, England on June 19, 1933, the daughter of Harry and Victoria (Harper) Neal. She came to America in 1954 and became a proud U.S. citizen in 1978. Heather married David Benesh on April 9, 1983. She loved him with all her heart. Heather was very active in the Ripon community. Throughout her life she managed Ripon McDonald's, supervised food service at Ripon College, was a kindergarten teacher's aide at Alice Callan Elementary School in Ripon, taught a knitting class, was a maid for two widows in Ripon for many years, and had a cooking show on TV for two years. She loved to knit baby caps and booties, and made amazing lunches and fine suppers for all those she loved. Heather was a Cub Scout Den Leader and she taught her two sons how to fish. She enjoyed camping at Silver Springs campground, her pontoon boat “Bit A Britain,” car shows in her 1987 Fiero, the Milwaukee Brewers, Minnesota Wild hockey team and the Green Bay Packers, flowers and a green lawn, keeping her house spotless, going to the lake Michigan coast, evening drives to Green Lake looking for deer and turkeys, and having a cup of tea with anybody who would sit a bit and chat. Most of all she enjoyed spending as much time as possible with her three grandsons. Heather is survived by her husband of nearly 36 years, David Benesh of Ripon, WI; two sons, Kevin Pfaff of Fairwater, WI and Rodney Halbleib of Saxeville, WI; grandchildren, Josh Pfaff of Green Bay, WI, Austin and Kyle Halbleib of Saxeville, WI; brother-in-law Steve (Margie) Benesh of Oshkosh, WI; two sisters, Julia Rowe of Colchester, England and Marie (James) Johnson of Sacramento, CA; sister-in-law, Doreen Neal of Colchester, England; a niece, Anneliese Benesh of Omro, WI; and many nieces and nephews in Colchester, England and Sacramento, CA. She was preceded in death by her parents, Harry and Victoria Neal; her father-in law and mother-in-law, Francis and Dorothy Benesh; two sons, Christopher Pfaff and Willard “Billy” Halbleib; a brother, Arthur Neal; a sister, June Wright; and a niece, Judy Clarke. A private family Mass of Christian Burial will be held at St. Catherine of Siena Catholic Church, with Reverend Robert A. Fictum officiating. Cremation will follow. Memorials in her name may be directed to the Wisconsin Parkinson's Foundation, 16655 W. Bluemound Rd, Suite 330, Brookfield, WI 53005.